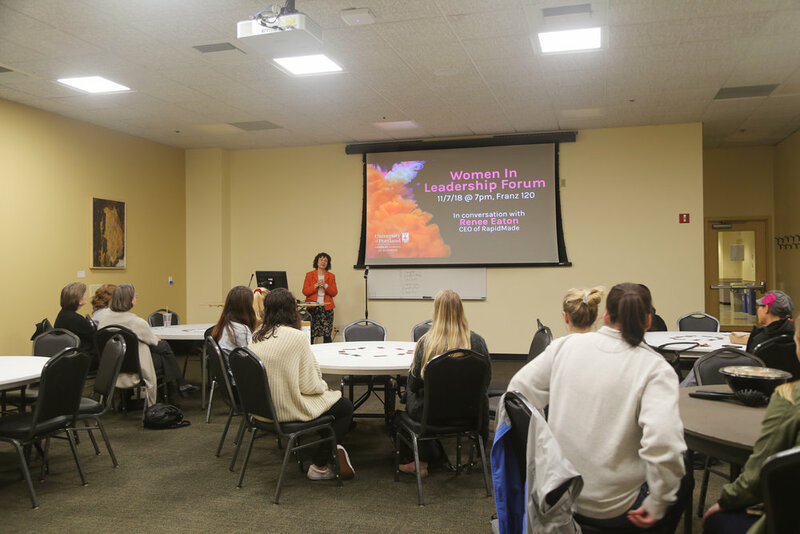 RapidMade’s CEO Renee Eaton recently spoke at the University of Portland’s Women in Leadership Forum. 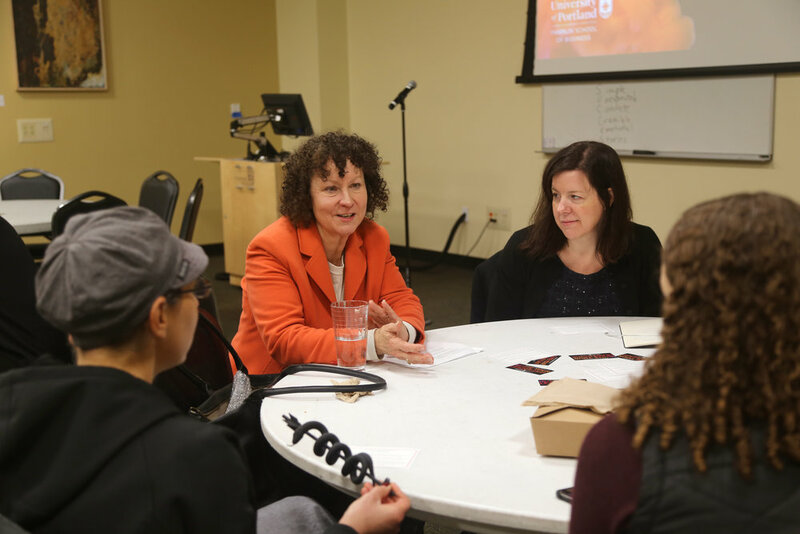 The event “connects UP students with women who are leaders in the greater Portland community. The forum is a place for sharing stories, building connections and supporting” leadership development. As a former university instructor at UP’s business school, Renee was thrilled to return to campus, catch up with former colleagues and meet with students, faculty and staff. She described her career path, lessons learned and starting a business in 3D printing (additive manufacturing) and engineering services.